Where To Sell Your Watch In Orange County? Are you lucky enough to own a luxury watch? Are you looking to own one? When asking the question…Where can I sell my watch in Orange County? There is only one answer: Jewelry-N-Loan located in Costa Mesa, the heart of Orange County, CA can help you along the way. With over 4 decades of knowledge and expertise with high-end luxury watches, we can tell you how much the one you own is worth and possibly buy it from you. Or…we can help you choose from the incredible selection of watches in our showroom. 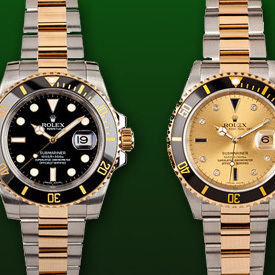 We carry brands like, Rolex, Cartier, Tag Heuer, Breitling, Omega, Patek Philippe, Panerai, Bulgari and many more. You won’t find a better selection of luxury watches in Southern California. Our in-house full time master watch maker Alfredo makes sure all of our watches are in perfect working order and has the knowledge to fix, service and/or appraise the watch you already own. Jewelry-N-Loan, can also offer collateral loans on watches you own, and we do trades. We are your one stop shop to buy and sell watches in Orange County. Contact us today or stop by our shop at 1872 Newport Blvd. in Costa Mesa. We’re just off the end of the 55 freeway, you can’t miss us.